◀ Get into festive spirit with this unique and amazing photo collage maker! With ▶New Year Photo Collage Art▶ you’ll experience a lot of fun on holiday season. Let’s start 2017 with best wishes and great ‘‘New Year’’ greetings! Get this incredible collage app and make a beautiful ‘‘photo collage art’’. Download this awesome collage maker and add bunch of stickers for pictures, numerous wallpaper backgrounds in high quality and various happy New Year sayings! ◀ Looking for something that could help you to improve your collage making skills? 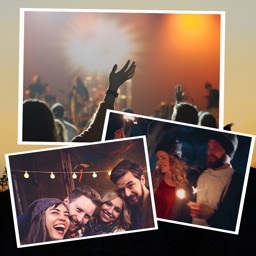 No need to worry: ▶New Year Photo Collage Art▶ has arrived on the app store! 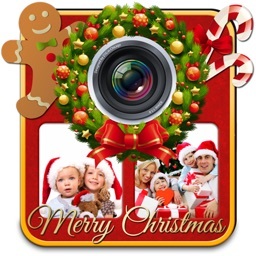 Create incredible ‘‘picture collage’’ of your cute holiday photos. Unlock our gallery and discover dozens of collage templates in different patterns, colors and styles. Add sticker to photos and embellish your picture collage frames with cool New Year stickers and cute Christmas stamps. ◀ ▶New Year Photo Collage Art▶ is the best way to unleash your creative spirit and to express your originality. 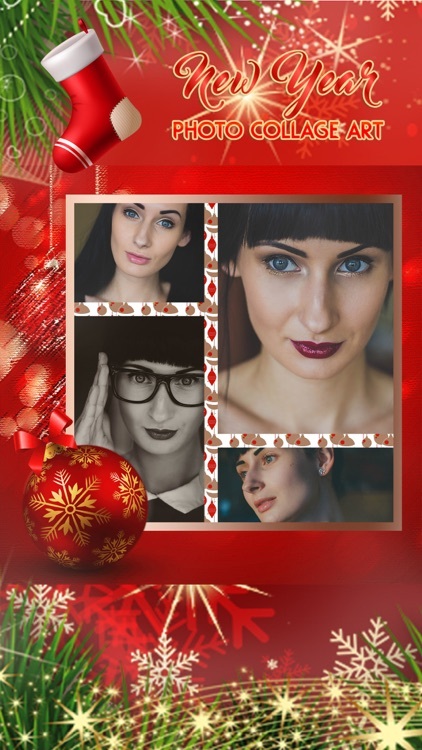 Splash some Christmas colors on your collage design, pick a custom picture frame and add your ‘‘New Year photo’’ to make wonderful collage art. Choose your favorite collage frame, sprinkle some glitters and add happy New Year quotes. Apply stunning effects like snowflakes, fireworks or ice effect. Create photo collage greeting card and send your best wishes to your beloved ones or share it on any social network. ◀ This ‘‘picture collage app’’ for gives you an opportunity to upgrade your collage techniques and your photo editing skills. Decorate your collage artwork with exquisite deco stamps and lovely New Year decoration. ▶New Year Photo Collage Art▶ offers you great collection of New Year photo frames and beautiful collage picture templates. Follow the latest trends and start making picture collage art or your lovely selfie images. Browse our gallery and find over 100 collage layouts and gorgeous wallpaper backgrounds. ◀ Our brand new application is the best collage editing software you can find on the app store! 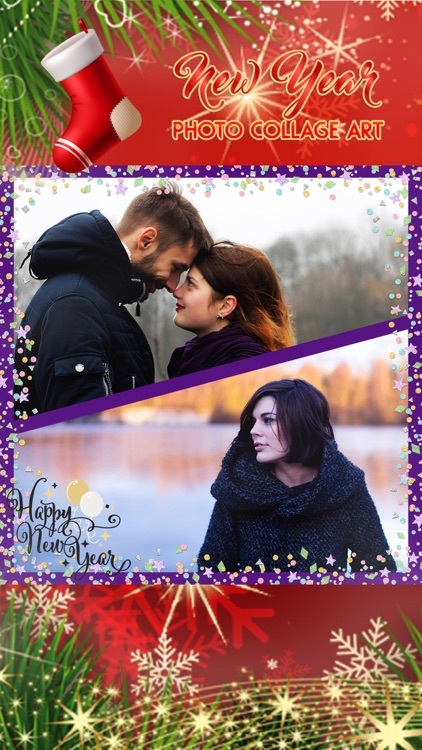 Numerous collage templates, personalized photo frames, color effects and beautiful New Year sayings is waiting for you to use them while making your ‘‘photo grid collage’’. 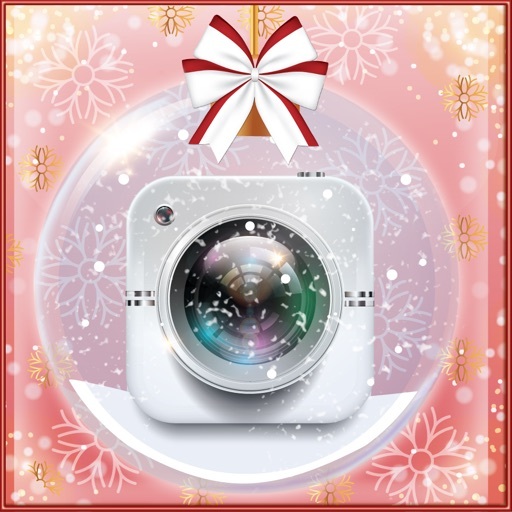 Enjoy winter holidays this season like never before with this dazzling collage maker!